The role of the US in the Argentine military dictatorship is explored through the tales of two American citizens who were kidnapped and tortured by the regime, with the complicity of the Washington and the local embassy. Kidnapped by Kissinger (Also released as Observando al Observador/Observing the Observer) tells the story of two US citizens, Olga Talamante and Patricia Erb, who were detained and tortured in Argentina during the country’s dictatorship and political turmoil of the 1970s and 1980s. The film is narrated by first time director, Malena Juanatey, a young woman who came up in the aftermath of the dictatorship, when Argentina was returning to democracy. Relations between the United States and Argentina went through different stages. Warlike, confrontational, cooperative and surrendering, “with arms and legs open,” as director Juanatey says. In a moving voice-over, the director explains how this relationship resulted in economic exploitation and torture in the time of the last military dictatorship between 1976 and 1983, and continues with twists and turns even when democracy returns. The inspiration for the film came from the director talking with US citizens who were ignorant of the ties that their government of the time had with the Latin American military regimes. The documentary focuses on two US citizens, Patricia Erb and Olga Talamante who were kidnapped and tortured while they were staying in Argentina. Their testimonies, recorded by the director, give us strong, discretionary details about the nature of the events that were played in those times. One torturer asks, “do you prefer to be raped or given electroshock?” Ironically, after suffering being kidnapped with no help from the US embassy, it is their citizenship that saves them while their Argentine compañeros are left to die. As one woman is liberated, her captor says to her “you are the one Kissinger wants.” But Kissinger didn´t rescue her out of goodness, but a desire to keep attention away from the US intervention. Utilizing archival footage, director Juanatey details some chilling facts, including communications between the dictatorship and the Association of American States and the US embassy who are complicit in its acts, and more concerned about keeping it under wraps then stopping it. 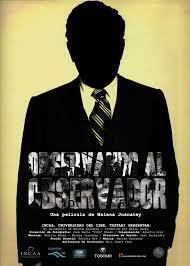 The film also shows how it was pressure from US citizens, not the government, that held the dictatorship accountable. A very didactic documentary, especially if you do not know about the “Operation Condor” and its political and strategic implications. The voice over of the young director keeps the action swift and compelling. It had its US premier in June 2017 at the Brava Theater Center in San Francisco. Born in Mexicali, Baja California, Mexico, At the age of eleven, she and her family moved to Gilroy, an agricultural community. She became a naturalized U.S. citizen, and attended the University of California, Santa Cruz, graduating with a degree in Latin American studies. She became an activist during the anti-Vietnam War peace movement and the Chicano Movement. Talamante is also well known for her community activism and has worked with several service-providing and public advocacy agencies, including Head Start, the YMCA, the American Friends Service Committee, and the Argentine Commission for Human Rights. Talamante was arrested for political activity in November 1974, and subsequently imprisoned and tortured from 1974-1976 until her release. Olga Talamante is central to the history of Chicana/o self-determination as it developed in the late 1960s and early 1970s. Although her story has been told numerous times in Euroamerican progressive circles, it has largely remained outside the scope of Chicana/o Studies. The Olga Talamante Defense Committee petitioned Congress and the State Department for her release. By the time she was freed on March 27, 1976, Talamante had become nationally known. She returned to the San Francisco Bay Area, where she began working for the Argentine Commission for Human Rights. After being released, Talamante continued working with other minority causes in the United States. She was Western branch Vice President of INROADS, an association aimed at helping Hispanic, African American and Native American business and engineering students to gain college scholarships. Currently she serves on the boards of the National Center for Lesbian Rights; El Concilio of San Mateo County, and the Friends of the Commission on the Status of Women. She is also active with GELAAM, a Latino LGBT organization in San Mateo County and with the Latino Forum of the San Francisco LGBT Center.